Just a week after the executive board of the United Nations Educational, Cultural and Scientific Organization (UNESCO) ratified a controversial resolution that ignored Jewish and Christian ties to the Temple Mount, the body’s World Heritage Committee is set to vote on a similar text. The UNESCO heritage committee’s 21 member states are expected to vote on Wednesday in Paris on the resolution, entitled, “Old City of Jerusalem and its Walls.” As with last week’s contentious text, the latest draft is expected to pass with a comfortable majority. A draft of the resolution obtained by The Times of Israel once again refers to the Temple Mount compound solely by its Muslim names, “Al-Aqsa Mosque/Al-Haram Al-Sharif,” and defines it only as “a Muslim holy site of worship.” As the site of the Biblical temples, the mount is the holiest place in Judaism. While last week’s text did include one passage with a mention of the importance of Jerusalem’s Old City for “the three monotheistic religions,” the heritage committee’s resolution text includes no references to Jewish or Christian ties to the area’s holy sites. According to Israeli officials, there is some chance that the Arab nations sponsoring the resolution — Kuwait, Lebanon and Tunisia — will agree to insert a similar passage in the final draft, in order to ensure that Western countries vote for the resolution, or at least abstain. Last week’s resolution referred to Israel as “the occupying power” at the holy sites. The new resolution does not. Nor does the new version put quotation marks around the Jewish term “Western Wall,” a punctuation seen in Israel as further bolstering the original resolution’s disdain of a Jewish connection to Judaism’s holiest site. 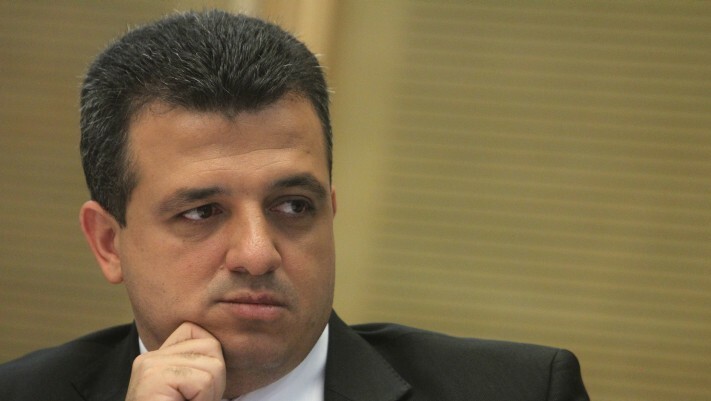 Israel’s envoy to UNESCO, Carmel Shama-Hacohen, said over the weekend that these seemingly minor changes in so hostile a text nonetheless mark significant concessions on the part of Arab states, which would not have been achievable only a few months ago. Last week’s resolution, which was approved at the UNESCO committee stage on October 13 with 24 “yes” votes, six “no” votes and 26 abstentions, and then formally confirmed by UNESCO’s executive on October 18, sparked vociferous condemnation in Israel, as well as from UNESCO’s own director and several foreign leaders. A chorus of Israeli politicians, led by Prime Minister Benjamin Netanyahu but including left-wing lawmakers, slammed the decision as absurd and UNESCO as detached from reality. 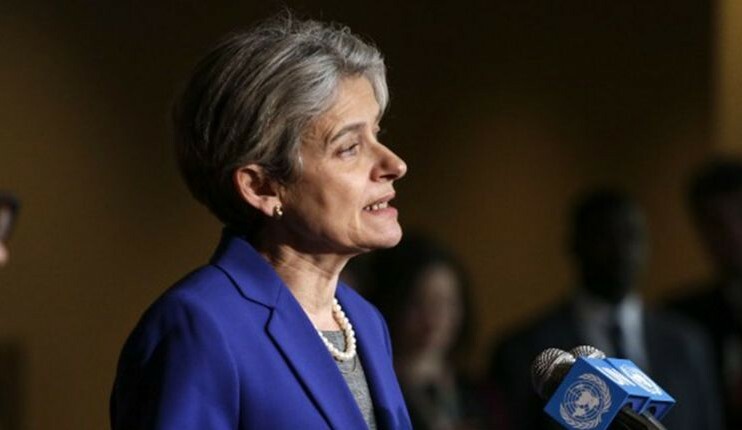 Immediately after the committee stage vote, the agency’s director-general, Irina Bokova, issued a rare statement rebuking member states for the vote. To “deny, conceal or erase any of the Jewish, Christian or Muslim traditions undermines the integrity” of the Temple Mount, she stated. “To say that the Jewish People has no connection to Jerusalem is like saying that the sun creates darkness,” Italian Prime Minister Matteo Renzi told Netanyahu during a phone call over the weekend. Renzi promised to try to convince other European governments to adopt his position, according to a read-out of the call issued by Netanyahu’s office. “Prime Minister Netanyahu said that even the theater of the absurd has limits and noted that it was important that countries which respected both themselves and the truth not participate in it. He added that it was not a political question but one of historical facts,” the statement read. Italy, Brazil and Mexico are not members of UNESCO’s World Heritage Committee, and thus will not be able to vote on Wednesday. “If the Palestinians continue to adhere to this dangerous path, which is actually a diplomatic jihad against the Jewish people, Judaism and Christianity, they will discover that last week’s surprises from Mexico and Italy are only the beginning,” he insisted.